Home » Digital marketing , marketing » Blogger - How to backup all posts, the template, and all pictures? Just go to Settings > Other and select Backup Content. It will save all your posts in an XML file. But beware, neither the template nor the pictures will be included. 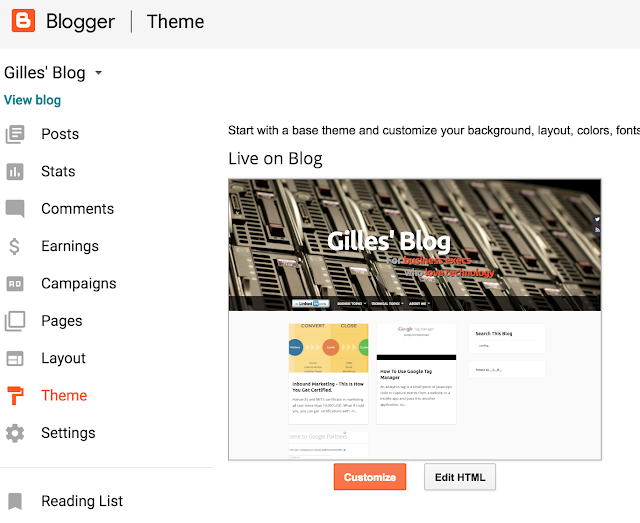 You have to use the old-school method: go to Theme > Edit HTML and select all the text. Then copy paste it into a file. One thing that I love about Google is their commitment to enabling you to leave them and take away all your data. 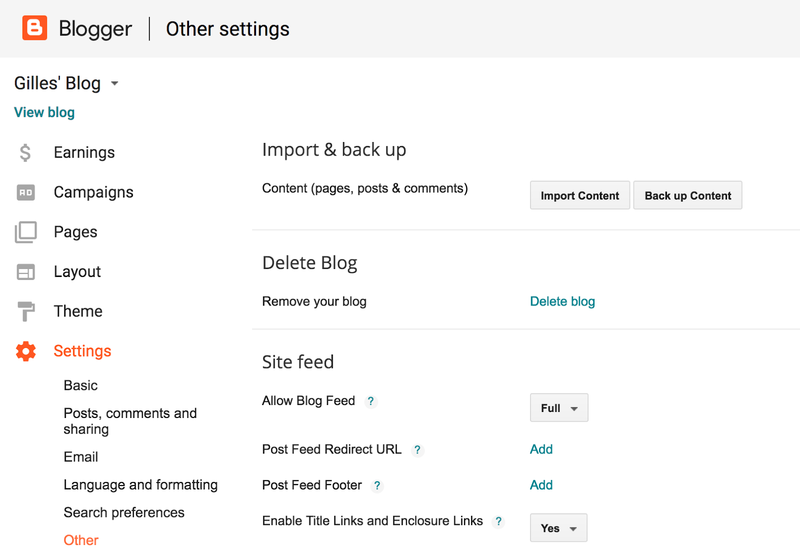 If you want to backup your blog, you need to backup your pictures. If your pictures are on Google Photos, backing them up is straightforward and absolutely essential: a blog without pictures is like a hamburger without meat. 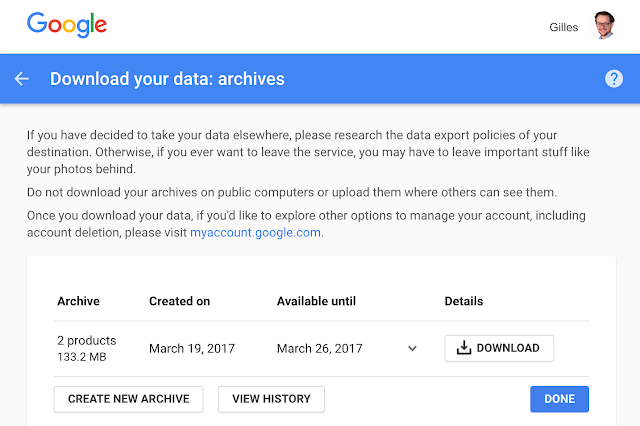 To see all your google services and download associated data, go to Google Takeout. Select Google Photos and download the archive. It contains all your pictures. If your blog contains many pictures, it can take a little bit longer to prepare the archive. But don't worry: Google will continue to process your request and send you and email when the download is ready. If you find this tip useful, please share it on social media! Thanks.